The Snuggle House announced on its Facebook page that it shut its doors after just three weeks of business. Amidst much fanfare, the Snuggle House in Madison has closed its doors — and arms — seemingly before they even opened to share a warm embrace in the first place. Despite my long-standing opposition to paying for cuddles, news of the Snuggle House’s decision to close ranks left me needing … a hug. As we previously expressed at AFP-Wisconsin, this strange little experiment in affection was the epitome of capitalism, demonstrating free markets at their best. An entrepreneur had an idea, a product and a market for hugs, and we wished them the best. It was amazing that even in Madison, a city that appears to fight back against the free market at every turn, a business owner with a dream and a set of capable arms was free to peddle hugs. Or so it appeared. In the end, it wasn’t outcry from the people of Madison and it wasn’t a nonexistent customer base that ended dreams of hugs for a fee; it was the heavy hand of government that shut down the Snuggle House. Evidently the powers that be in City Hall were scared of an individual selling a product they didn’t believe in or, more simply, didn’t like. The free market doesn’t guarantee success. It only guarantees the opportunity to succeed. Unfortunately, government all too often stands in the way of that opportunity, inhibiting businesses both large and small, regardless of the product. 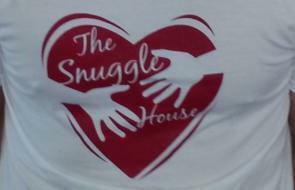 If the Snuggle House had failed because it didn’t have any customers it would have been understandable. If it had failed because it broke the law, that would be acceptable. Instead, it was forced to close its doors because the bureaucrats at City Hall didn’t understand what was going on, and they didn’t care to. Personally, we couldn’t care less if the Snuggle House exists in Madison. But it shouldn’t be my decision, AFP’s decision or the decision of any politician or bureaucrat. A legal product or service should succeed or fail based solely on the principles of supply and demand that free markets create. Unfortunately, this isn’t the only time that the city of Madison has stood in the way of business owners pursuing the American Dream. Without even knowing it, we have handed the freedom of choice over to bureaucrats and politicians, empowering them to decide what we can and can’t buy and what we can and can’t sell. The “failure” of the Snuggle House provides a stark reminder of this sad state of affairs. Despite the fact that City Hall has left a power vacuum in the capital city’s hug market, this peculiar business experiment in downtown Madison has, at the very least, captured everyone’s attention and shone a spotlight on the perils of government-controlled markets. David Fladeboe is state directorof Americans for Prosperity – Wisconsin.